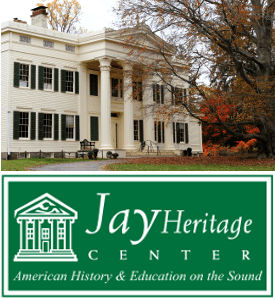 In 2010, Preservation Long Island (formerly the Society for the Preservation of Long Island Antiquities), established the Endangered Historic Places Program (EHPP) with the goal of raising region-wide support for historic places facing precarious circumstances. The program offers Long Islanders an opportunity to advocate for preservation in their communities while learning how to use tools like landmark designation, tax incentives, and public outreach. Program partners receive priority technical assistance from professional staff and their listings are featured on Preservation Long Island’s website and social media. Nominations are open to the public and listings are selected based on three key criteria: overall historic significance, the severity of the threat, and the impact the EHPP listing will have on efforts to protect the nominated site. 2019 program listings were selected by a panel of Preservation Long Island staff and trustees, as well as experts in architecture, historic preservation, and other related fields. 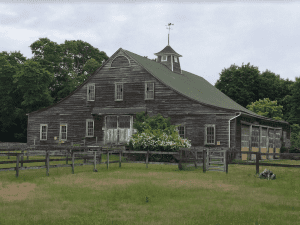 Preservation Long Island’s Endangered Historic Places List for 2019 consists of four sites that reflect the diversity of Long Island’s historic resources and cultural heritage. These places also illustrate the variety of challenges confronting the preservation of historic sites throughout the region, such as responding to rising sea levels, marshalling funds for complex restoration projects, designating landmark districts, or estate and stewardship planning. Known locally as “the Gables,” Merrick Gables is an architecturally and historically significant 1920s planned community in Nassau County threatened by an ongoing loss of community character due to the demolition of historic structures and insensitive redevelopment throughout the neighborhood. Originally built in 1913 as Blue Point’s US Life-Saving Station House, the main structure of the Summer Club Clubhouse was relocated by barge to Fire Island in 1947. Unfortunately, the clubhouse is now threatened by intensifying erosion and flooding, reflecting the urgent problems rising sea levels bring to Long Island’s iconic waterfront structures. An 11-acre time-capsule reflecting the Avery family’s former 200-acre Swan River Nursery (1898–1982), features four historic structures within an intact agrarian setting. With strong ties to Patchogue’s history, this exceptional historic place is threatened by potential demolition or intensive redevelopment. Greenport’s remarkably intact 1894 Queen Anne-style auditorium retains the unique ambiance of a turn-of-the-century theater. Operated as a home furnishings showplace since the 1940s, the building’s restoration is limited by a lack of resources and capacity to fund and organize a complex preservation project. As downtown Greenport revitalizes, the surviving historical stage and other interior features are at risk of being lost to redevelopment. Preservation Long Island is a not-for-profit organization that works with Long Islanders to raise awareness, appreciation, and support for the protection of our shared past through advocacy, education, and the stewardship of historic sites and collections. 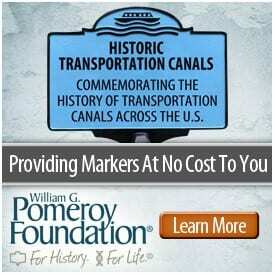 For more information, visit their website. Photo of Avery Barn in 2017 provided.